How can I change the currency in my cart? 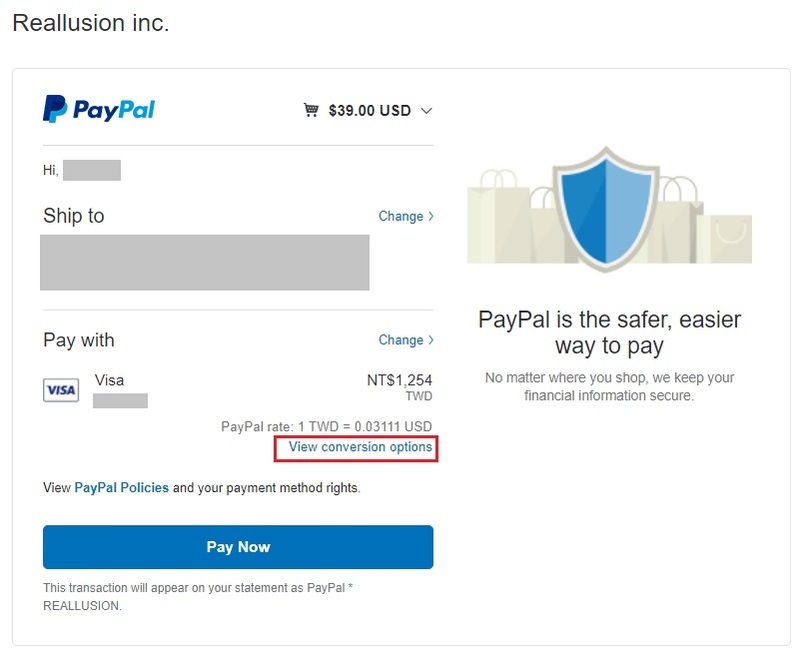 1) Select PayPal during Checkout. 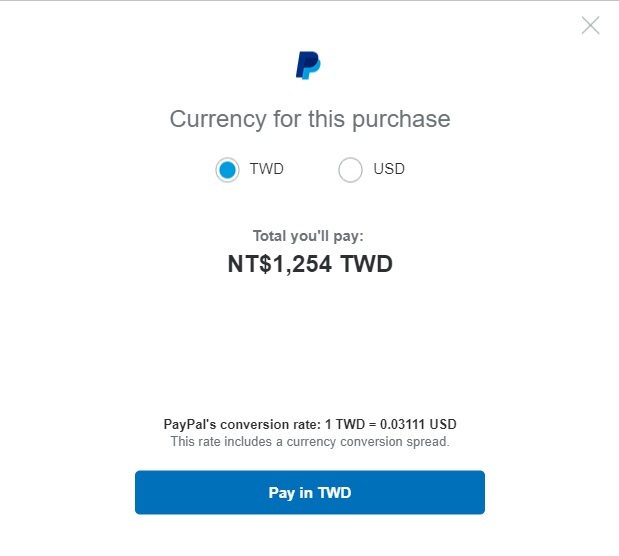 2) Then you’ll be re-direct to Paypal and log in your Paypal account. Select "Pay with my credit card". It will be converted to your local currency, and users can select "Other Conversion Options" to convert again. If I pay with PayPal, can the purchase price paid in installments? Why did I receive a failed authorization notification for my transaction? Where can I find my delivery order information? I have successfully made a Paypal e-check payment, when can I receive my product? How can I pay by Direct Debit in Germany? What does my order in pending authorization means? How long does a pending authorization usually take? Article has been viewed 984 times.